Living in the Pocono Mountains of Pennsylvania is hard, and this past winter was one of the longest, coldest, snowiest winters we've had in a long time. Spring is slowly making me aware of her presence. What do I see in the photo above? 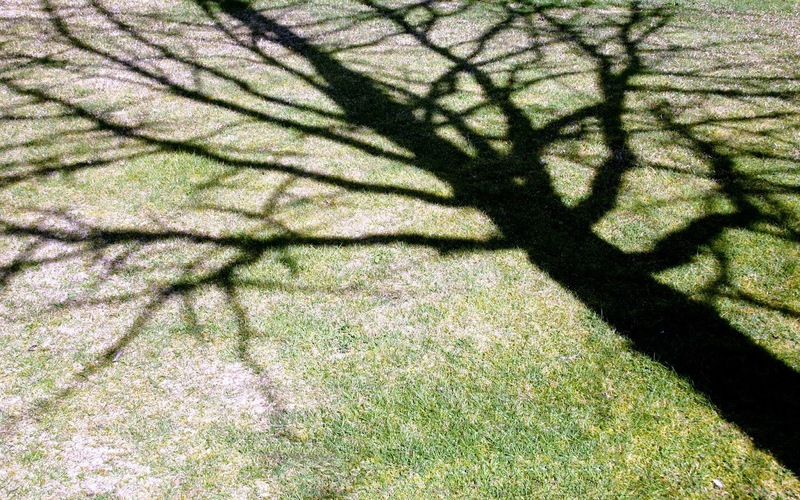 Just a few spotty patches of green grass and a dark silhouette of a bare, leafless tree? Not at all. I see, and feel, hope. I must be patient. Spring takes her time up here in the mountains. It's almost mid-April. 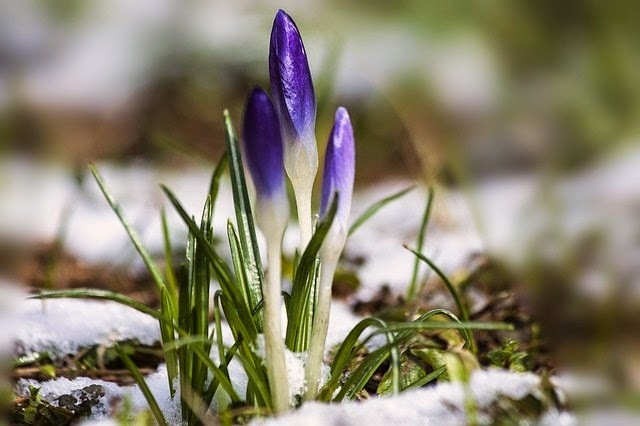 How do I feel when I see crocus peeking out of a patch of newly fallen snow? I smile with pleasure. Spring is just proving how strong and determined she is. 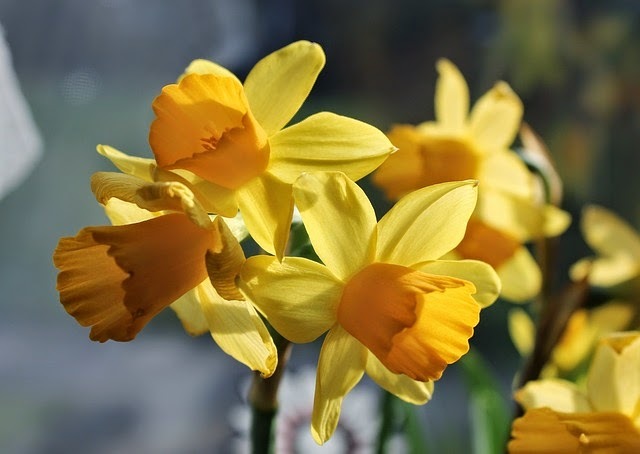 And what would a spring day be without bright yellow daffodils? They simply dazzle the eye with wonder and lift my spirits with their sunny exuberance. And what of April showers? 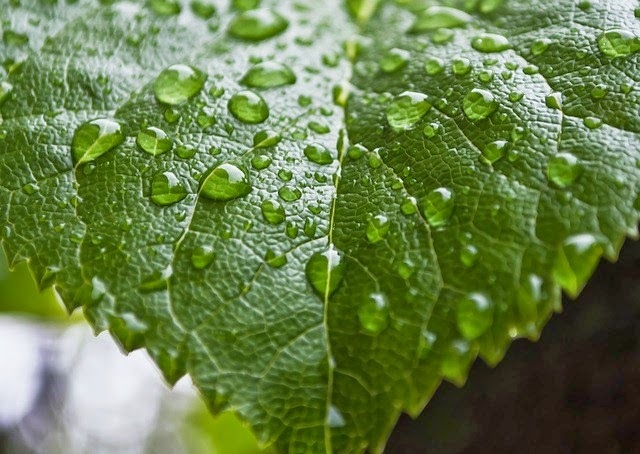 Raindrops sparkle like diamonds on the newly emerging green leaves of trees, plants, and grasses. Simply, Spring fills me awe. And it humbles me. Scent .... What would spring be without it? 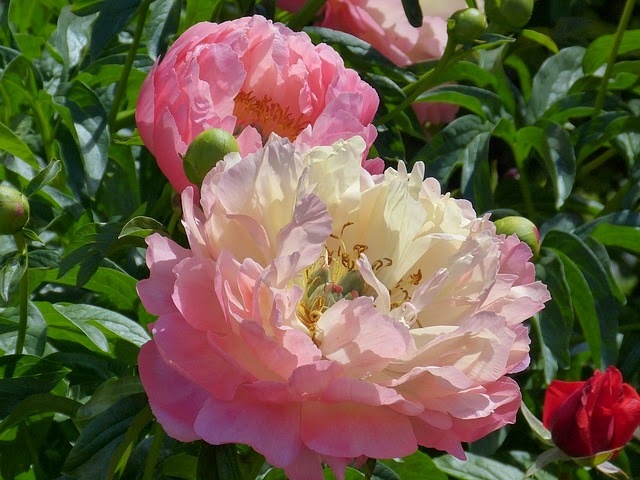 What could I find more alluring than the sweet perfume of a peony? And sound? 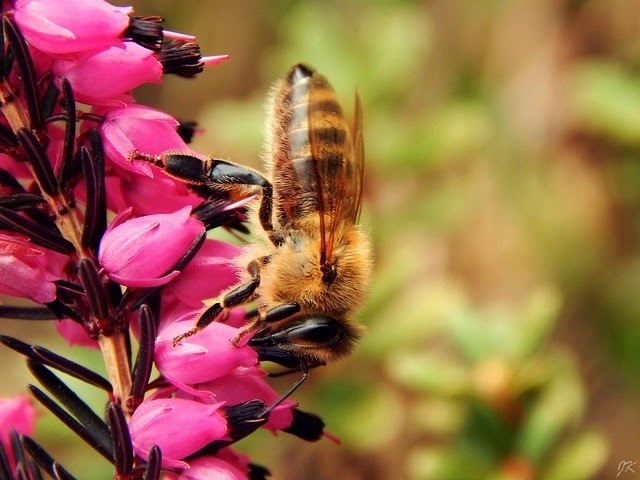 What else could compare to the melodic lazy, droning sound of a buzzing bee as it lights from flower to flower? Spring .... It is meant to be seen with your eyes. Heard with your ears. And felt with your heart.